Got that hankering for some potato chips? 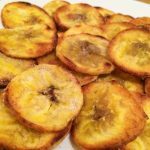 For all you cravers of crispy, crunchy and salty snacks like myself, you must give this recipe a try. 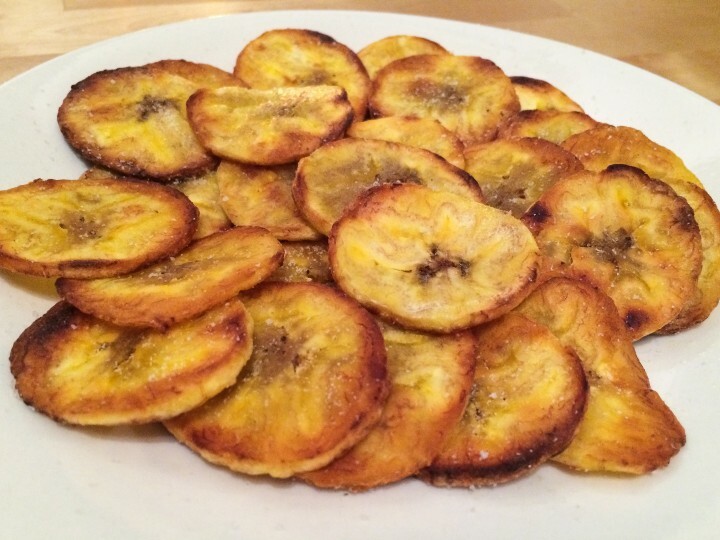 Plantains are similar to bananas but are starchier and less sweet. They’re a great source of fibre, potassium and vitamin A! Preheat your oven to 425°F so it’s ready for your chips. 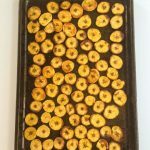 Slice your plantains evenly into thin “chips”. I used a cheese grater, but a mandolin would work and if you don’t have either, you can also slice them by hand. 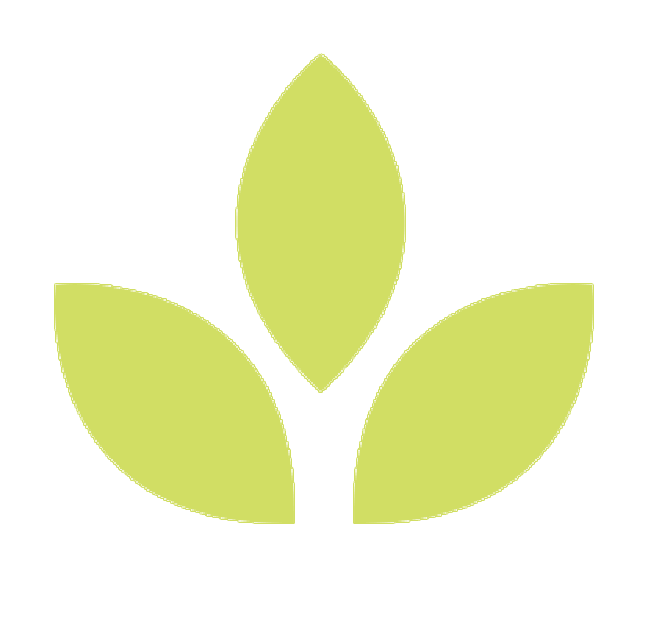 Just make sure the thickness is as even as possible, to ensure the best baking results. Coat your sliced plantain chips with melted coconut oil and sea salt. The easiest way to do this is to melt your coconut oil and toss the plantain, coconut oil and salt in a bowl with your hands until it’s all evenly distributed. Bake! 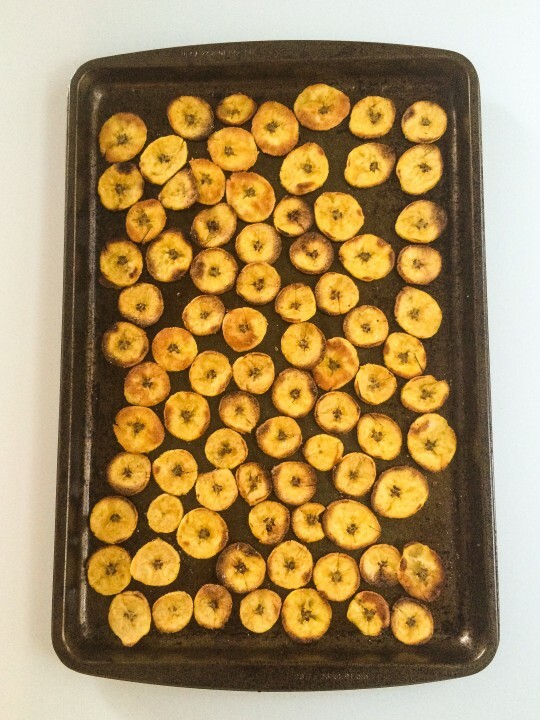 Spread your plantain chips onto a baking sheet in one layer (no overlapping). Pop them into the oven for 20 minutes total. Half way through, take them out and flip over each chip. You want to bake them until they just start to turn a little golden brown. Be sure to watch them so they don’t burn. You may add more salt and seasoning at this point, if you wish. 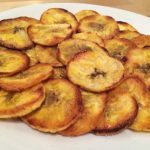 These plantain chips are delicious dipped in fresh guacamole. *Please note these chips are best eaten within a few hours of baking, as they do tend to lose their crunch when stored. 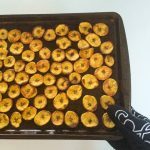 If you happen to have a food dehydrator, pop these bad boys in there at about 125°F for 10-12 hours or so, and they will keep their crunch for storage.